Chattanooga Cake Ace Contest on Feb 20th! OK, so I hinted about this a few posts back, but I am ready to make this official…. I have entered a cake competition on February the 20th (next Sunday!!!) 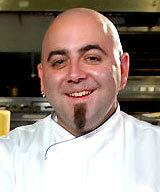 and one of the judges will be none other than Duff Goldman of Charm City Cakes!! The Chattanooga Times Free Press is hosting A Formal Affair, a bridal show and during the show they are also sponsoring the “Chattanooga Cake Ace” contest. The theme is simple… A Chattanooga themed groom’s cake. Ok, so maybe TOO simple. I have SO many ideas, and I just can’t seem to narrow them all down! I’m excited and nervous all at the same time. GAH! The best part is that all the participating bakers (I think 9 have entered) are all supposed to get some face time with Duff! I will be a crazy weekend, what with setting up our booth on Saturday and then the bridal show and contest on Sunday. Even though it’s still a week away, wish me luck!